Next Course Starts June 10th!! Space is becoming more recognized for its importance in our health, business success, and overall happiness with the principles of feng shui being incorporated in all areas. The Course is designed for anyone who wants to become a feng shui practitioner or looking to add feng shui as a modality to their existing practice. It's perfect for holistic practitioners, stagers or real estate agents, interior designers/decorators, architects, wellness facilitators, life coach/health coach, or anyone interested in making a difference in your life and others. 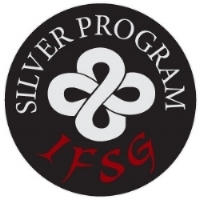 Earth Home School of Feng Shui is led by Tisha Morris and accredited as Silver Level by the IFSG. A comprehensive understanding of the BTB School - the most commonly practiced theory of feng shui in the west. Students will be introduced to the rich history and origins of feng shui, including the different schools of feng shui, the iChing, the Lo Shu, and Cosmic Trinity. Students will understand the varying philosophies and differences among feng shui practices and how they are still alive and used today, in addition to how we can use them in today’s spaces. Students will be introduced to the unseen world of energy, or chi, the permeating force of all things. You will not only learn the "rules" of feng shui, but understand why they are applicable in terms of how energy runs through space. Chi will be explored with regards to the electromagnetic chi emitted from the Earth, as well as chi from humans, animals, and even inanimate objects. We will break chi down into its two components – yin and yang – and discuss the various ways these two energies are expressed on our planet, in the body, and, of course, in our spaces. The first step in feng shui starts with the exterior of a space. We will explore the topography of the land from the perspective of the Form School, the landscape, poison arrows, the shape of the building, adjoining roads and buildings, and overall location. The energy around the entrance or front door of the home will also be considered as the primary mouth of chi coming into the space. As we make our way into the home, students will look at a variety of floor plan layouts. We will see how energy moves through spaces and explore auspicious vs. inauspicious layouts. Considerations of locations for hallways, stairways, bathrooms, bedrooms, kitchens, and other rooms will be discussed. Furniture further divides up spaces and directs the chi flow. We will look at the art (and science) of arranging furniture, as well as how to incorporate this into a consultation. The Bagua Map is the quintessential tool used in feng shui. We will look at every gua – its meaning and application. You will learn how to apply the Bagua Map to any space and use it effectively with clients. We will consider a variety of different floor plans and shapes in applying the Bagua Map appropriately, as well as how to boost the energies in each gua and apply remedies effectively. Tisha will teach you her simple 3-step process to feng shui anything, including your clients' homes. Students will become versed in the Five Element Theory and how to use it to help clients bring their spaces into balance. We will look at how to determine your personal element and how to balance spaces accordingly. You will learn the constructive and destructive cycles and the effect the elements can have on a space, energetically and aesthetically. One of the best things about feng shui is that there is a remedy for just about anything! You will learn how to turn a challenging space into a supportive environment using remedies. We will explore traditional feng shui remedies – from everyday decor items to crystals. Students will also learn time-honored BTB feng shui traditions, rituals, and blessings. You will have the opportunity to join Earth Home's private Facebook Group for ongoing support. You will have the opportunity to participate in ongoing trainings, exclusive to Earth Home students. Receive discounts for offerings to the public. You will receive a website badge evidencing your feng shui certification. You will have the opportunity to be part of the Earth Home Team (based on application/selection process). We will discuss the Do’s and Don’t’s of being a feng shui practitioner. Students will also learn the basics of setting up your feng shui business. We will discuss everything from payment to marketing to individual niches within feng shui. Tisha will share all her knowledge and experience in entrepreneurship. We will combine everything you have learned and put it together in a step-by-step consultation format. You will have an understanding of the entire process from attracting clients, what to do at the consultation, and beyond. By the end, you will be ready to start your own feng shui practice. We will turn the invisible world of energy into a tangible space that you can feel and tap into. You will learn how to work with energy in your hands in order to deepen your feng shui practice. For example, you will go from intellectually understanding poison arrows to actually feeling them. We will explore a variety of methods used to read spaces and assist our intuition, including dowsing rods, pendulums, and other methods. Students will learn about potentially harmful electromagnetic frequencies that may be negatively affecting spaces. A variety of techniques will be explored from hands-on space clearing to using bells, sage, and other methods. Students will learn a 4-step approach and be ready to space clear the most challenging of spaces at the conclusion. All spaces have their own soul and energy that must be acknowledged and respected. Before the occupants of a space ever step foot inside, a home has its own distinct personality. In fact, from the time the architect draws up the blueprint and the ground is broken, the soul of the home is first conceived. Students will learn how to tap into the energy of a home prior to ever visiting the home. Previous traumas and land clearing will be explored that may be negatively affecting the current owners and beyond the realms of traditional feng shui methods already discussed. Extend your feng shui practice beyond just residences. You will receive a 1 1/2-hour webinar devised exclusively for students for using feng shui for businesses. In our mobile world, working with distant clients can be a valuable service for your clients. In this 1 1/2 hour webinar, I teach you the best practices for using feng shui with distant clients. This is an invaluable resource! The online course will cover all the same information covered in the in-person course. Each class builds upon the next. If you miss a class live, recordings are immediately available. Classes run approximately 90 minutes each. They are live with Tisha and also recorded. Live participation is encouraged, but not required. There will also be a private forum to communicate with classmates and Q&A. *Classes meet LIVE online via private Facebook Group with Tisha on camera and screen sharing. Questions can be asked during class. *You will need internet access to attend classes remotely and Facebook account. PC or Mac compatible. *A PDF Course Manual will be provided. *A private Facebook community for the class is included for student interaction. *All classes are recorded and immediately available for viewing if you can not attend live. Early Bird by May 15th $200 off - only $1397.00!! A deposit of $297 secures your spot with the balance due on or before the start of the course OR three (3) installment payments paid by the completion of the course can be arranged. Payment may also be selected (below) in full, which includes the $297 deposit. Cancellation Policy: The $297 deposit is non-refundable, but can be used as a credit for future trainings or services. No refunds will be issued after the training begins. -Completion of all training hours. For online course, a demonstration of attending the sessions live or by recording each week. -You will receive a Certificate upon completion and invited to join the Earth Home community for future continuing education opportunities. The ONLINE SUMMER 2019 class starts June 10th! Class dates are listed below. Classes are approximately 90 minutes and recorded. Live participation is not required. Stay up to date with upcoming course announcements!